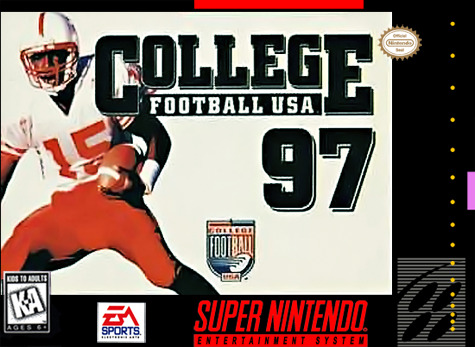 College Football USA '97 for Super Nintendo allows you to choose from 111 Division I teams to lead to a national championship. Select from any of the eight conferences to compete in. You can even customize your own tournament up to 16 players.